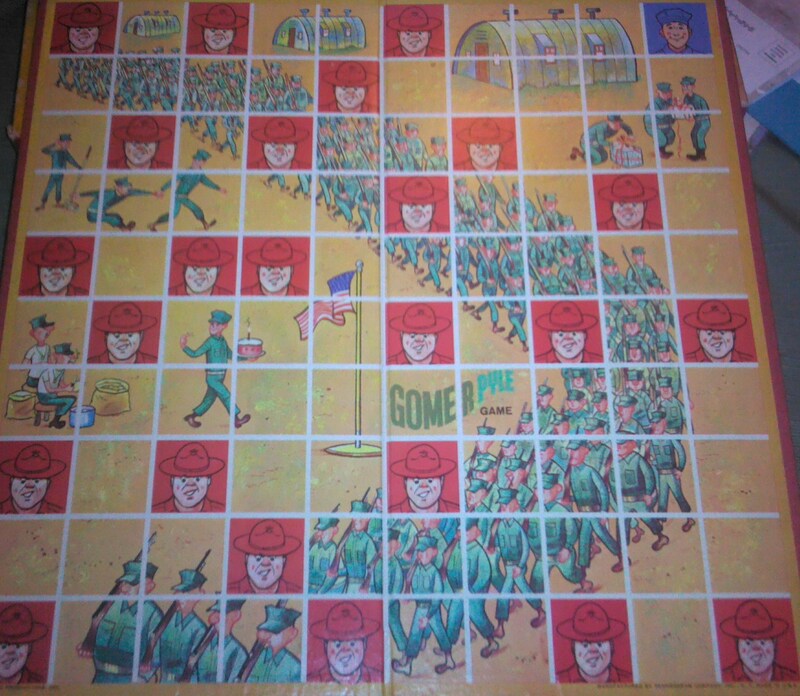 Game Board: Visually striking, with the marching Marines cutting a green swath across the mustard-yellow background, and red Sergeant Carter squares popping up regularly. The guy peeling potatoes seems to be smoking—that’s something you wouldn’t see on kids’ game today. 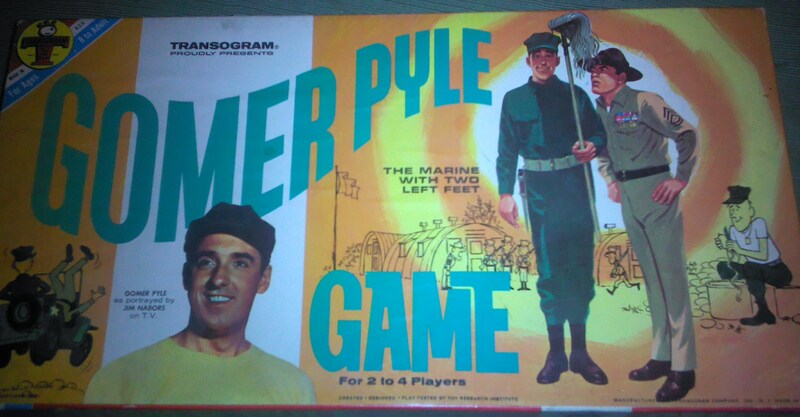 Game Pieces: Brightly colored plastic pieces and cartoon cutouts of Pyle. Recommended Ages: 8 to Adult. Game Play: No clue. See the well that holds the plastic pieces? 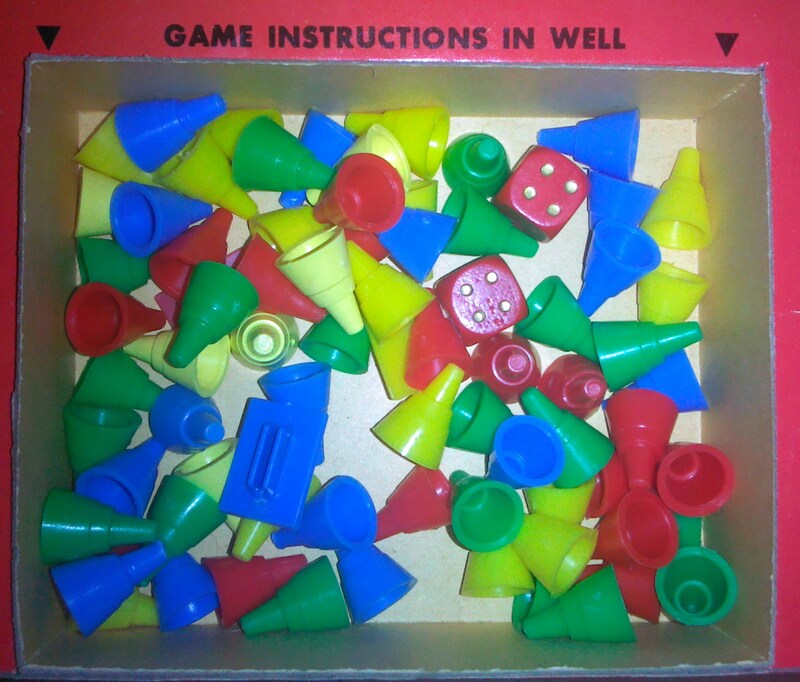 See the words that say “Game instructions in well”? Well…not in my well. That’s one of the dangers of buying of vintage games—they’re often incomplete. Dice are included, so obviously Pyle has to move around the board. I’m going to assume that landing on Sergeant Carter’s head is a bad thing. 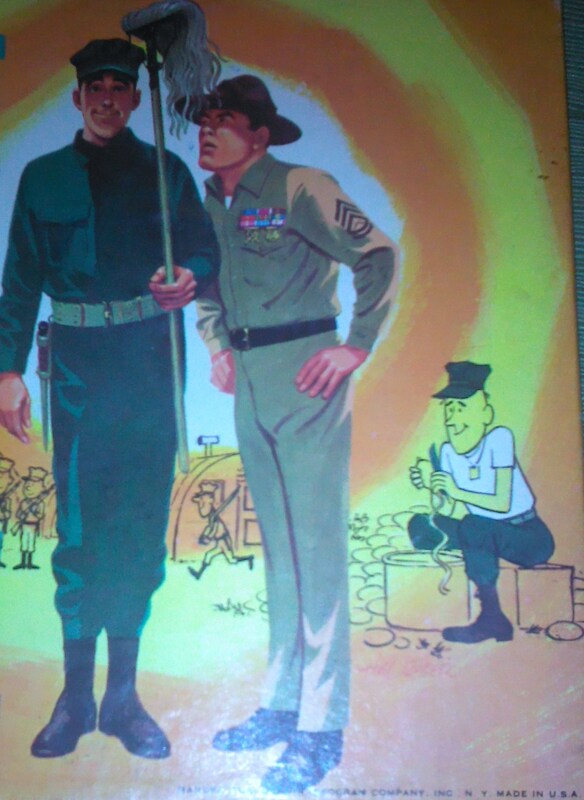 Game Designer: The box artwork is signed “Hal Greer.” I haven’t been able to find out anything about this artist. I’m guessing he’s not the same person as this Hal Greer. 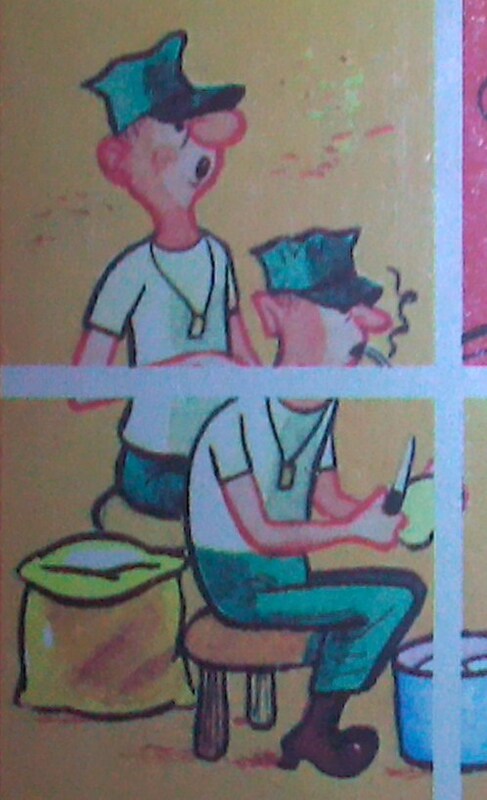 A close up from the game board. Is that Marine smoking? favorite show of mine, but I would watch it occasionally when nothing else was on. In fourth grade, our teachers would let us watch TV in the cold lunch room, and Gomer Pyle was our usual lunchtime fare. For that reason, I associate the show with salami and snack cakes. 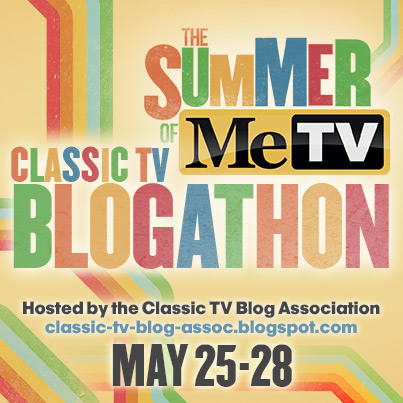 This entry was posted in Spin Again Sunday, Television, Toys and tagged 1960s, 1970s, Classic Television, Games, Gomer Pyle, Nostalgia, Television, Toys, Vintage Toys.